Cooking and baking. I flipping love to do that, even though I am not that great at it. Well, baking I seem to generally have under control, but cooking... its another story. This weekend I made a few different foodie items for my baby shower. I know I mentioned it in a previous entry, but my mom and I were supposed to make a savory casserole (which I had volunteered to make) and twisties, which my mom had volunteered. I planned to put the casserole together on Saturday afternoon before she arrived, and then we would just bake it on Sunday morning before we left! The twisties had to be done on Sunday because they are just 3000x better when they are fresh! That is the casserole after I put it together. I could not find a recipe that I really liked, so I pretty much just winged it. 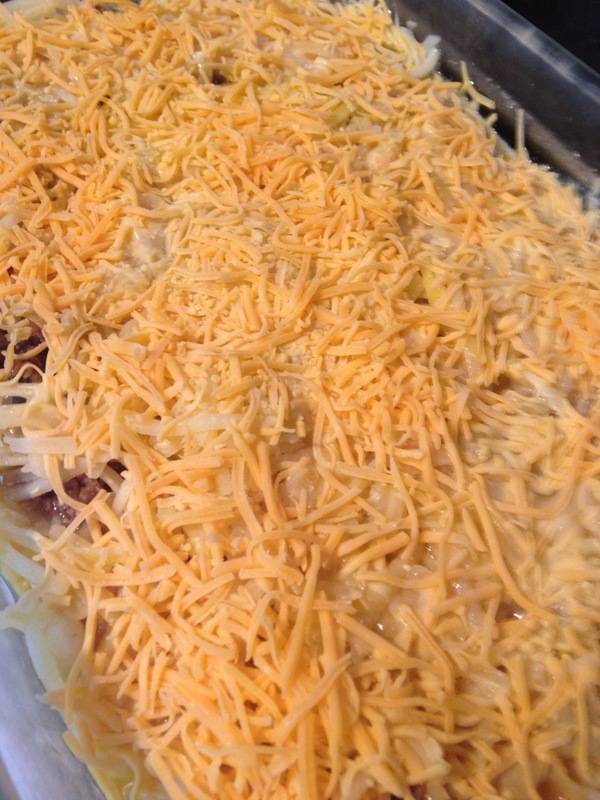 It is a layer of hashbrowns (frozen, shredded), then a layer of sausage - which I browned, more hashbrowns, then I dumped a dozen eggs (beaten) over the top, figuring they would absorb (and they did), topped with 1 cup (I measured!) shredded 2% cheddar cheese. I baked it for an hour at 375* and it got a little brown on top. It was perfect! J and I both had a piece of what was left for breakfast today. Now the twisties, I got a little creative with my photography and took step pictures. I will CONSIDER sharing the recipe, but I am not going to do it yet. I think my family likes the fact that it's a special thing, but you can at least see the steps and see how easy they really are! 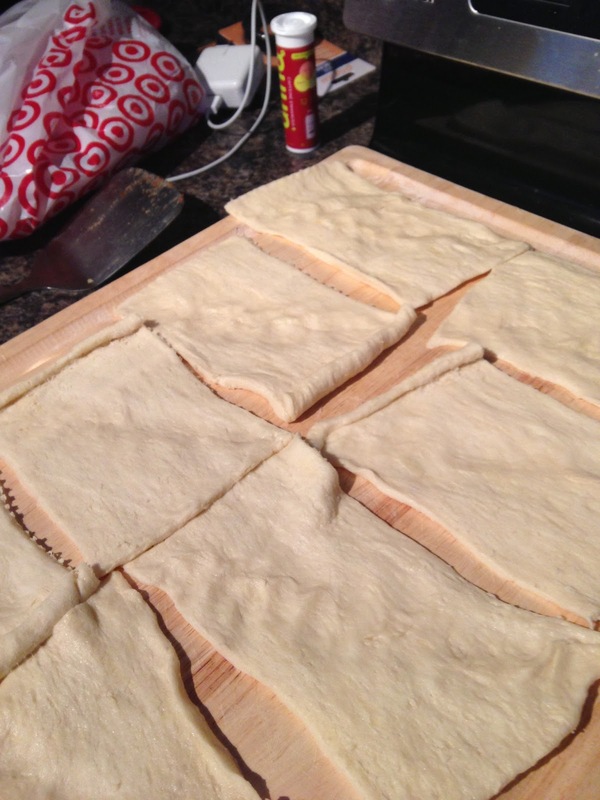 So you start with Pillsbury crescent rolls. 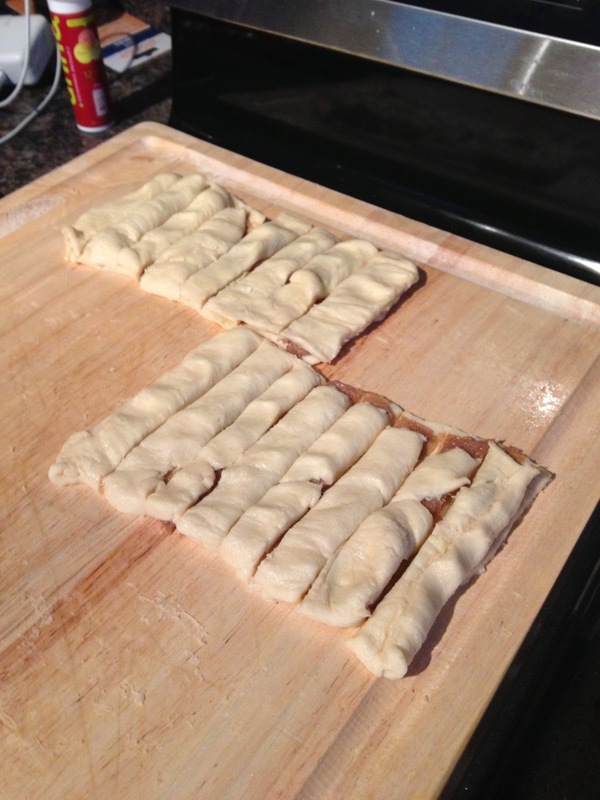 Unroll them onto a cutting board in rectangles and press the diagonal seams together (since the rolls are normally triangles). I have 8 sheets there, so 4 of them I top with the cinnamon filling. Then you make them into 4 sandwiches. Cut each "sandwich" into 8 approximately equal strips. 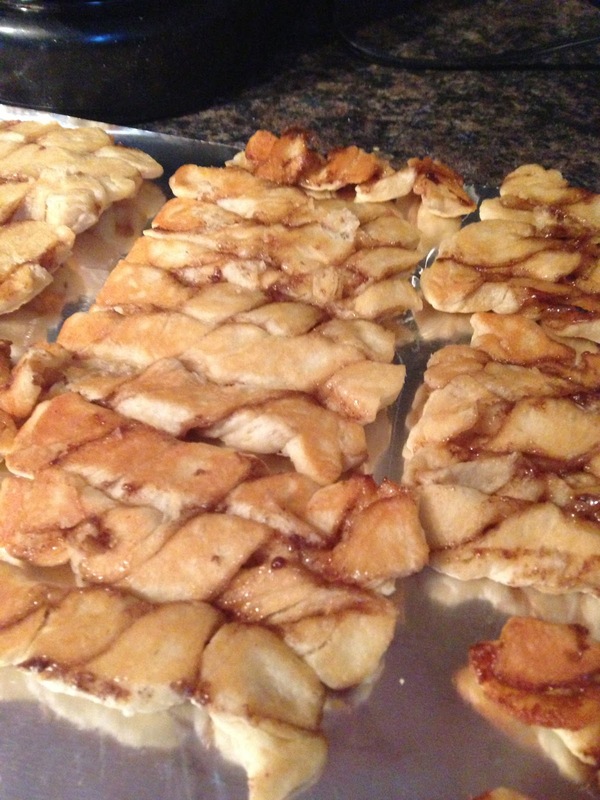 Twist those 8 strips and place on a nonstick ungreased cookie sheet. 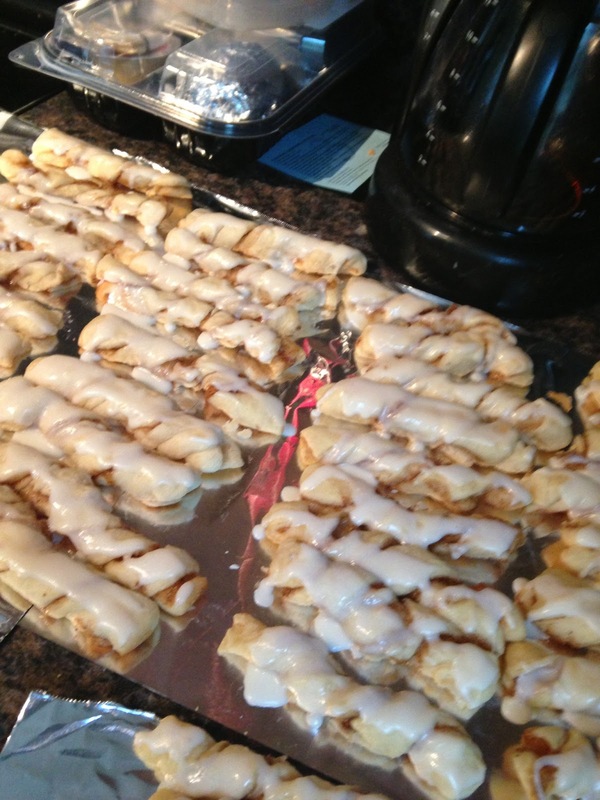 (I have standard Wilton baking sheets you can get at Bed Bath and Beyond or anywhere, really. My mom has fancy sheets that are around $25 each that she buys at Michael's when she has a coupon! Mine work just fine, but hers are definitely better!) Typically each twistie gets about 3 full twists and I press the ends down a little on the sheet so they don't come untwisted. 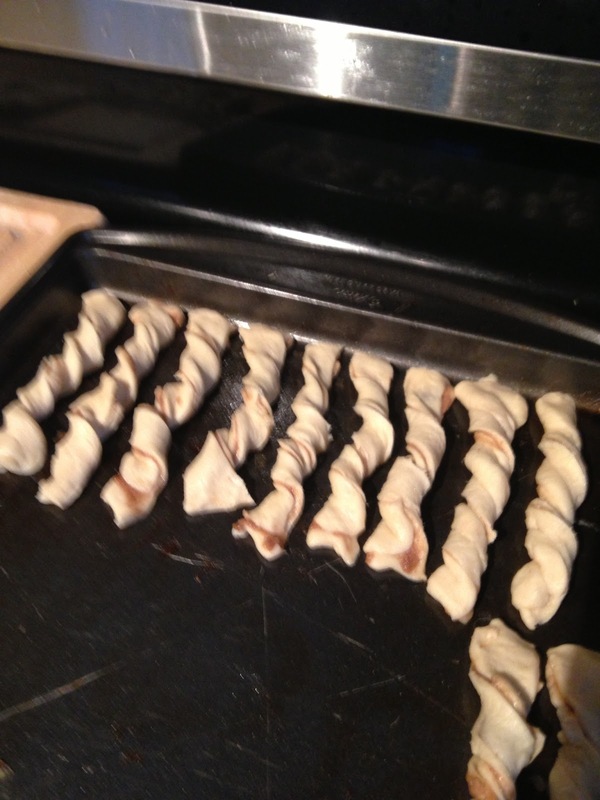 Once I fill the sheet (4 sandwiches, so 32 twisties-ish), they go in the oven at 350* for about 9 minutes (but watch them. You don't want them to get too dark!) Once they come off, immediately remove them from the cookie sheet, if you do not, that cinnamon filling becomes glue-like. 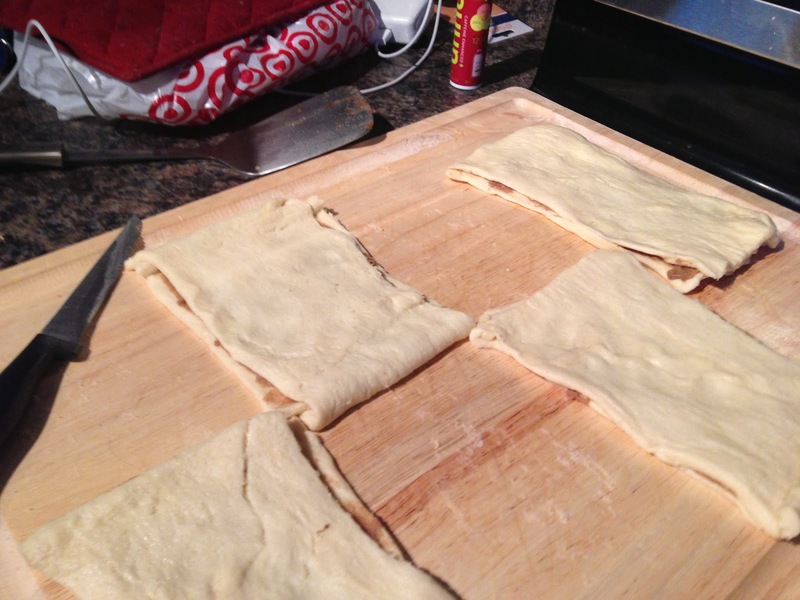 Cool them upside down on foil, parchment paper, wax paper, whatever you have. Honestly, I am not sure of the logic of cooling them upsidedown, but that is what my mom does, and she is the expert! After they are cool, flip them and ice them with the simple confectioners icing (butter or magarine, hot water, powdered sugar) and wait for the icing to dry before stacking them on a plate or in a container to go to your party! They are basically like little cinnamon rolls, and OH SO DELICIOUS. Anything special like this your family makes and everyone knows about?